86 Anglers competed in the 2007 Florida Keys Gold Cup Sailfish Championship for the coveted championship ring. John Anderson, from Boynton Beach Florida, was this year's high point angler and won the ring with 16 releases on time. He was fishing aboard the Off the Wall with Captain Brad Runyan and Mate J.P. Piedra. 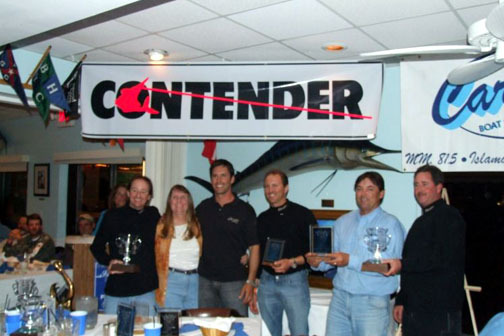 Team Contender One released 35 fish to take top honors in the trilogy challenge and is the 2007 grand champion. Aboard Contender One were anglers Joe Neber, Bill Cordes, and Wayne Savage captained by Bill Cordes. The team won the Islamorada Sailfish Tournament with the release of 27 fish. During the second leg they released 7 fish and the final leg released 1 fish. 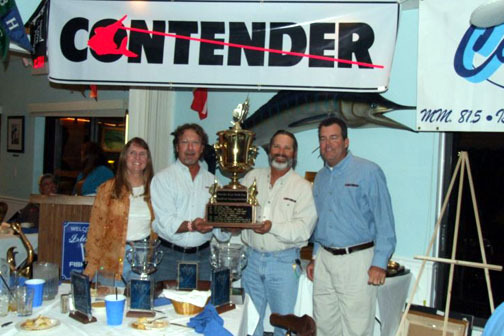 The Contender One team will have their names engraved on the perpetual trophy that is displayed at the Islamorada Fishing Club. 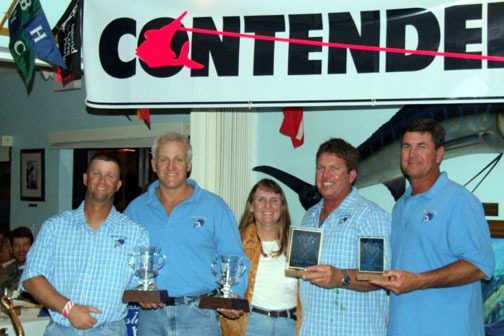 A field of 26 teams participated in this year’s event which consists of three tournaments: The Islamorada Sailfish Tournament, The Cheeca Lodge Presidential Sailfish Tournament, and The Islamorada Fishing Club 2007 Sailfish Tournament. This year’s gold cup series set a record number of releases with 405 sailfish and paid out $15,000.00. 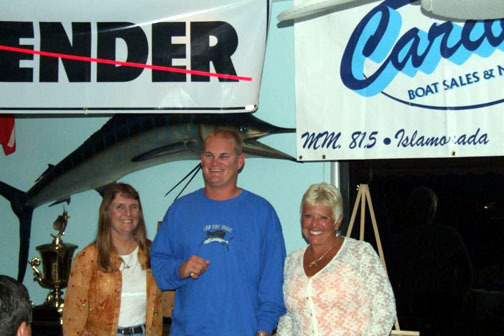 The tournament is sponsored by Caribee Boat Sales, Contender Boats and Yamaha Outboards. All money raised during the tournament benefits the Islamorada Charter Boat Association.